The GLO Science Professional Line is distributed solely through licensed Dentists. These teeth whitening products are the highest concentrations, applied by professionals, and produces the most dramatic results in just 32 minutes. Visit our GLO Dentist Locatorto find a GLO practice near you. Our cosmetic dentists offer teeth whitening in Collegeville, PA. We offer Zoom! teeth whitening as well as take-home teeth whitening with Opalescence. Who is a Good Candidate for Teeth Whitening in Collegeville and Surrounding Communities? Teeth whitening is recommended for patients with yellowed or stained teeth, business professionals, public speakers, actors and actresses, brides and grooms, or anyone, really, who is self-conscious about their smile. If you have a big event coming up, teeth whitening could give you the confidence boost you need. Dr. Dudhat has been whitening teeth since 1998. In fact, he was one of the first providers of teeth whitening in Collegeville, Phoenixville, Lansdale and West Norriton. Having seen the difference a brighter, whiter smile makes for his patients, he's determined to help them keep it that way. That's why we offer free take-home whitening for life to all of our Zoom! teeth whitening patients. In order to qualify for this unique teeth whitening offer, Zoom! 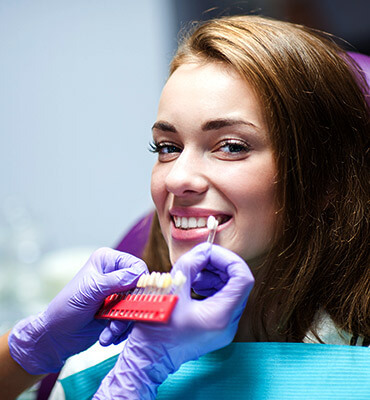 teeth whitening patients must keep up with regular appointments and cleanings (every six months). Questions? Ready for a Whiter Smile with Teeth Whitening in Collegeville? We offer teeth whitening in Collegeville, PA. Please contact us or request an appointment to ask our cosmetic dentists in Collegeville, Phoenixville, Lansdale and West Norriton about how teeth whitening can work for you. Also, feel free to ask us about teeth whitening treatments during any of your regularly scheduled appointments. We love to show our patients how teeth whitening can make a big impact on their self-confidence. Come see why so many families come to us for their complete dental care. Our dental practices proudly serve the dental needs of patients in Collegeville, Lansdale, North Wales, Hatfield, Abington, Chalfont, Warminster, Horsham, Willow Grove, Warrington and more, and were always welcoming new patients to join our dental family.